New Year is all about cozy and heartwarming moments this year. Spoil the whole family with this abundant gift basket to enjoy together. 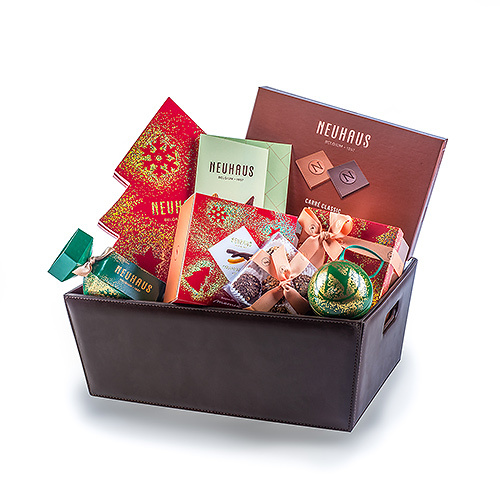 Or impress business partners, important customers or best friends with this basket full of Belgian chocolate from the top brand Neuhaus. 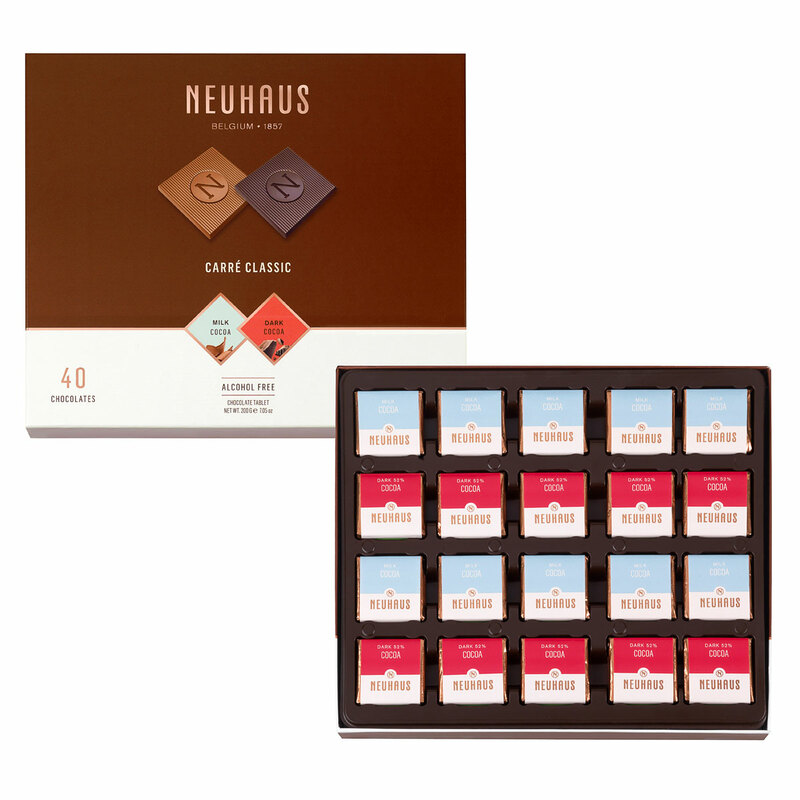 Get them into the spirit with the Neuhaus Tree gift box filled with 27 incredible milk, dark, and white chocolates. 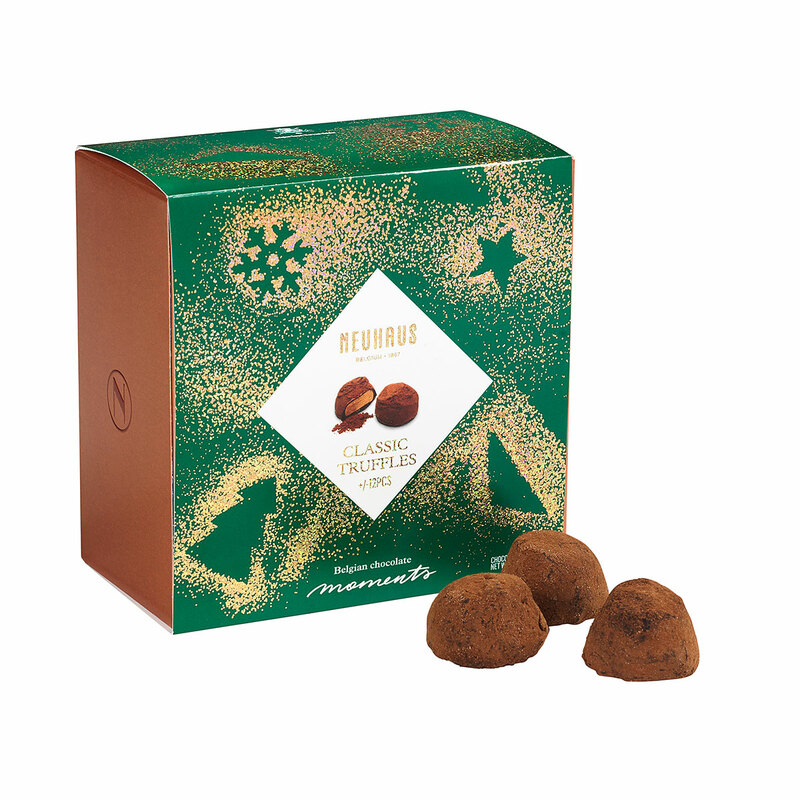 Eight more tempting pralines await discovery in a ribbon gift box with shimmering golden glitter. A festive green chocolate-filled Christmas ornament makes a beautiful adornment for their Christmas tree. 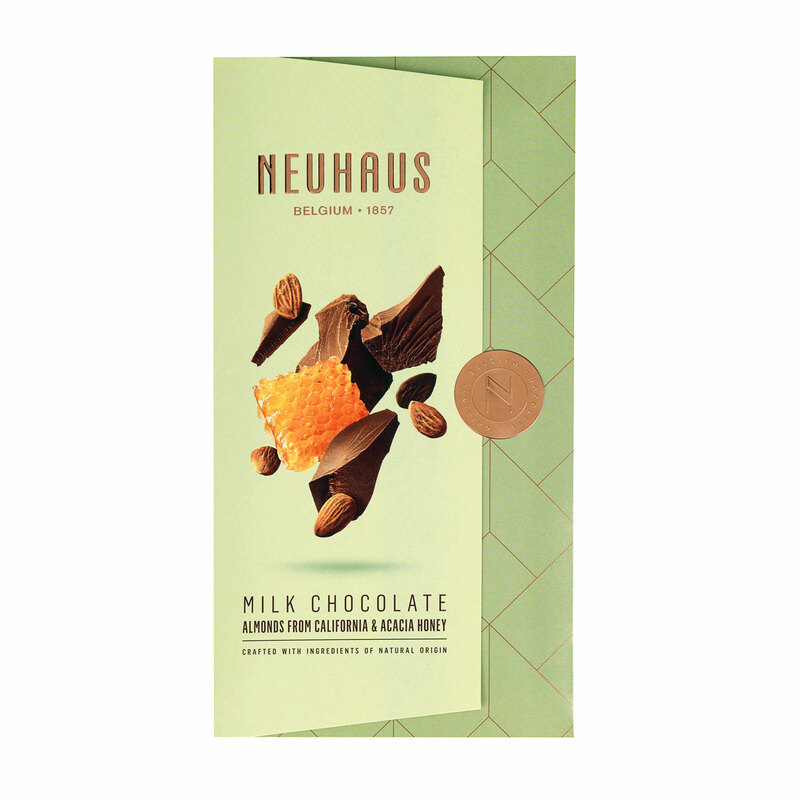 It wouldn't feel like Christmas without delicious Neuhaus Orangettes, traditional candied orange peels coated in dark chocolate. 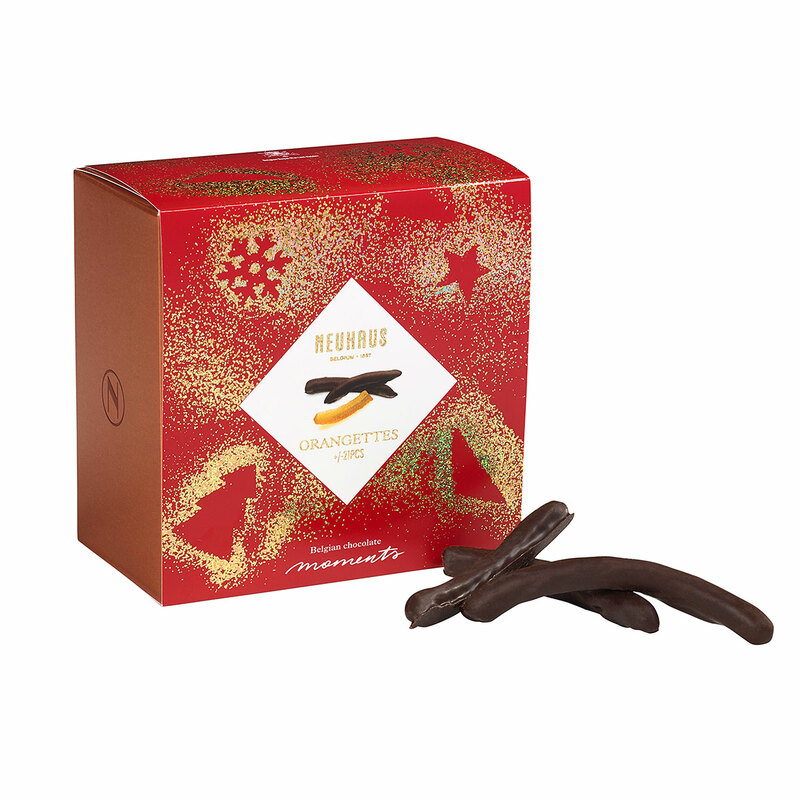 The gift also includes a fun Christmas cracker to pull open revealing the BonBons inside. 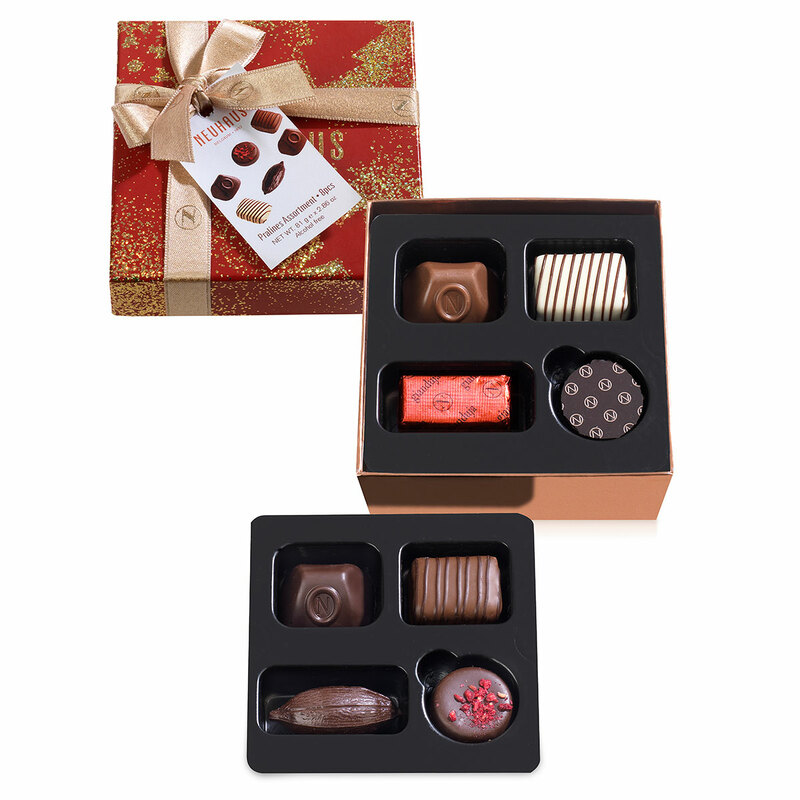 This VIP gift basket includes so much more: Carré milk and dark chocolate squares, heavenly truffles, and a milk chocolate tablet. The generous chocolate collection will keep them smiling well into the New Year! 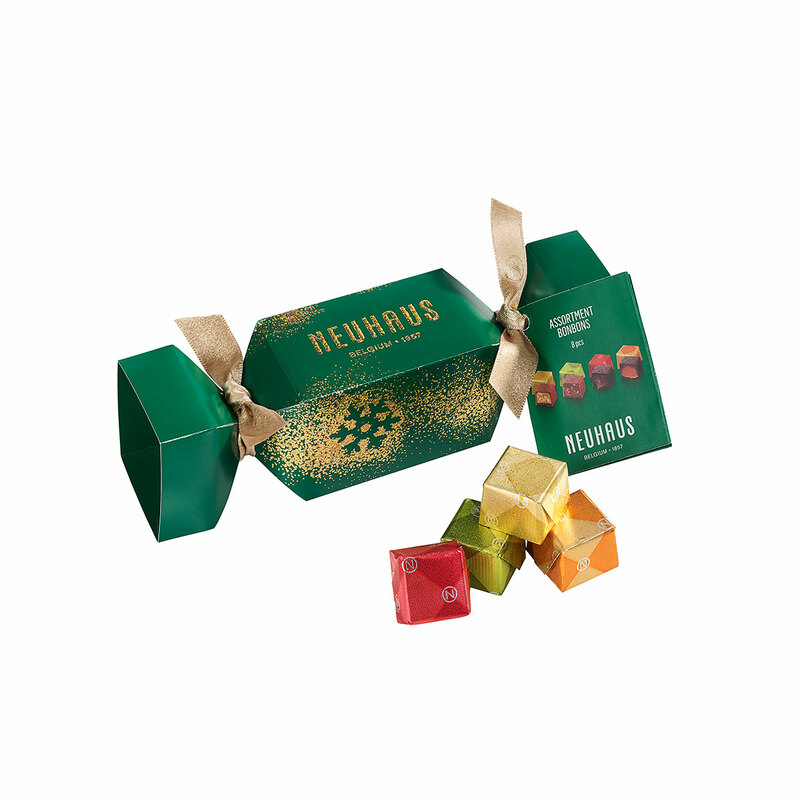 Ingredients: Sugar, cocoa mass, orange peel, cocoa butter, emulsifier: soya lecithin, flavour, preservative: sorbic acid. Allergy Advice: May contain traces of milk, eggs, gluten, sesame, groundnuts and nuts.